The Lord has allowed us to put together another slammin' show for you. We're featuring new music by Gideonz Army, Fedel, and Future. We were trying to play B-Shock's new song, but had a little technical difficulty with the download. We'll have his new single next week for sure. If you have any requests call or text them to 775-375-5677(KMRS). We'll try to get it in next week's show. You can also e-mail us at KingdomMindedRadio@Gmail.com or leave a comment on the page here. You can download the show here if you like. Tonight is a big event for Central Illinois. One Day Closer, B-Free, The MB, Identity and One Accord will all be performing/ministering tonight in Lincoln, IL from 6 to 9 pm. 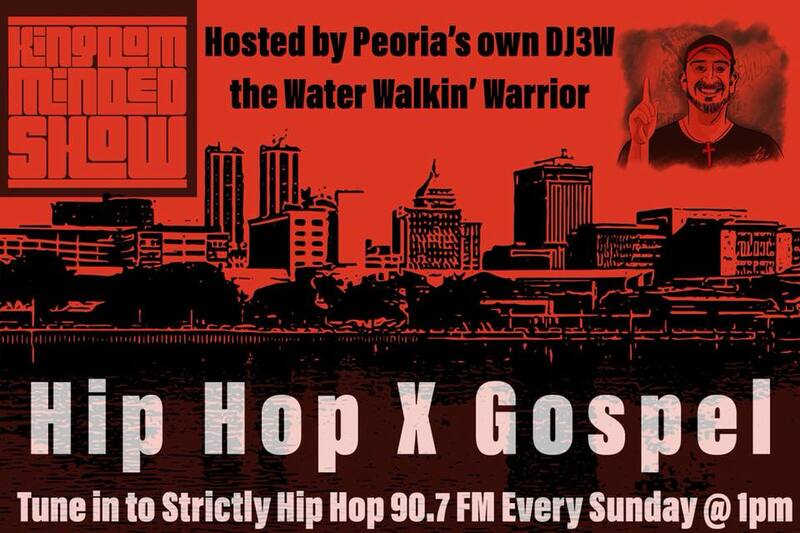 DJ Ezra from Rock Church in Peoria, IL and DJ Mayday of the Streetlight Radio Show in Springfield, IL will be on the wheels of steel and the Water Walkin' Warrior will be MCing the event. There will be concessions and prizes throughout the night also. This is an all age appropriate concert in which we want to give God glory acknowledging Him as our God while raising money for the You Are God Tour that will be taking place next March. The information you need is below. You might be able to catch it on Ustream here if you can't make it out or are too far away. What: Free Food, Free Admission, Spoken Word, Praise Dancers, Games, Giveaways, and Special Guest Forever from the STL. let's get to the music. Here's this week's playlist. Feel free to explore the links. * Instrumental by Cheesebeats for Sho Baraka "Me, Myself, and I"
20. Tha G.I.M. - A New Day (Supreme) Buy The Single Here Promo Video Album available in 2012!